OSHA recently announced it would delay enforcement of its updated standard on worker exposure to crystalline silica. Enforcement was set to begin June 23, 2017, in the construction industry but has been delayed to Sept. 23, 2017. The delay is necessary for OSHA “to conduct additional outreach and provide educational materials and guidance for employers,” an April 6 press release from the agency states. Despite the delay, OSHA said it expects employers in the construction industry to take steps toward implementing the standard’s requirements. The rule’s new permissible exposure limit (PEL) for respirable crystalline silica is 50 micrograms per cubic meter of air averaged during an eight-hour shift, which is what NIOSH (the National Institute for Occupational Safety and Health) recommended more than four decades ago. The updated PEL is five times lower than the previous limit for construction. In early March, ICPI and the Construction Industry Safety Coalition (CISC) sent a letter to the Acting Secretary of Labor, Edward C. Hugler, requesting a one-year delay on implementing the Silica Rule for construction. The letter outlined the significant difficulties that CISC members were experiencing in attempting to comply with the rule. Crystalline silica is a known carcinogen that is found in commonly used construction materials such as sand, concrete, brick, stone and mortar. 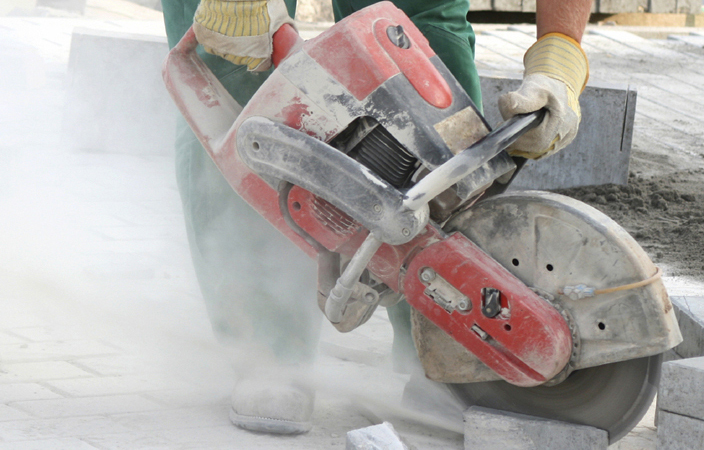 Exposure to silica dust can lead to silicosis, a chronic disease that involves scarring of the lungs. OSHA estimates that 2.3 million workers are exposed to the dust, including 2 million construction workers. The new rule updating the standard on limiting exposure to crystalline silica has drawn praise, criticism and legal challenges since OSHA published it March 25, 2016. At the time of the rule’s publication, OSHA estimated it would save more than 600 lives and prevent more than 900 cases of silicosis every year. However, the CISC had previously released a report citing an industry study which found that OSHA officials had underestimated the cost of compliance to the construction industry by $4.5 billion per year. At the beginning of the Trump administration, legal experts began speculating the new rule could be on the chopping block with a host of other worker safety regulations, but at this point it is still set to go into effect in September for the construction industry and in 2018 for general industry.